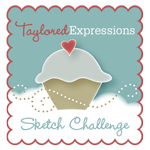 Today is the third day of sneak peeks from Taylored Expressions and can I just say that I LOVE the cards that I made today! I know that I say that maybe alot - but seriously - these are maybe my favorite cards!!! 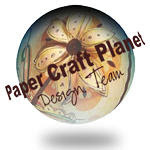 I wanted the sentiment to pop out a little but didn't want to have another color of cardstock, so I put it ontop of some vellum to create a bit of a smooth and transparent feel and then popped it up ontop of the woodgrain embossed cardstock. I also added some hearts with sequins and some white gel pen faux stitching to finish it off. 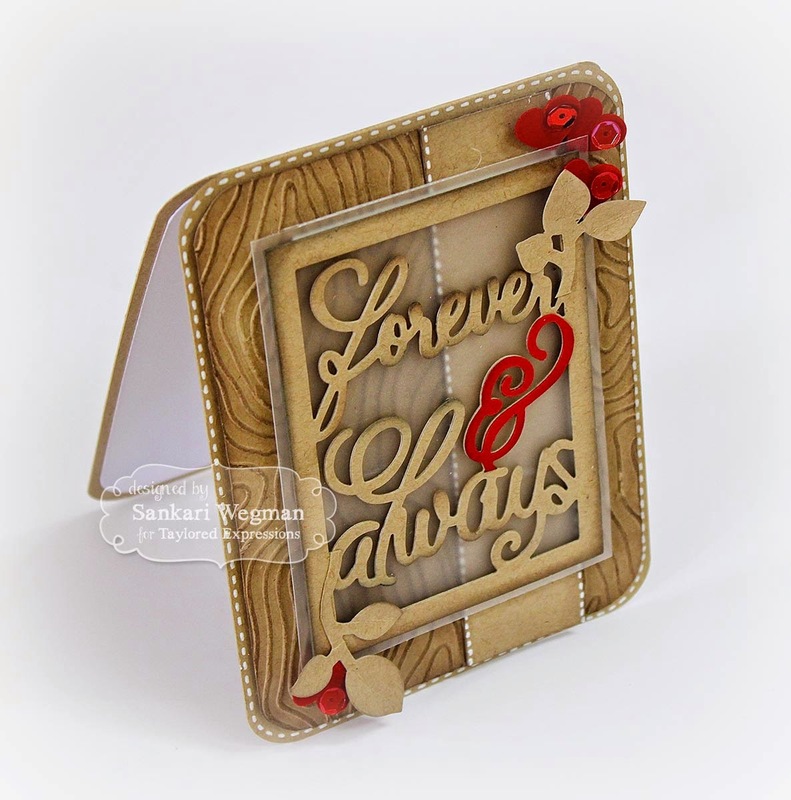 I just absolutely loved making this card - sigh!! These were some of my favorite cards to make and I can't wait to see what everyone on the TE team has created with all of these goodies! 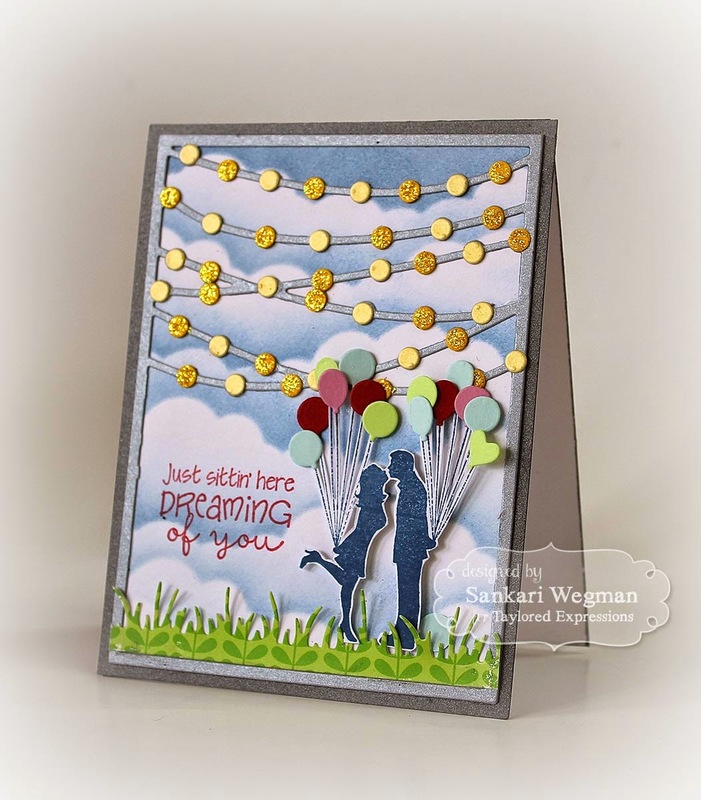 That first card - so sweet - love the inspiration and how your mind works! That second card - well it's just STUNNING!!!! WOW! Oh what a pretty card with the bistro lights, ingenious. Your second card is beautiful. Wonderful ideas with these dies. What a fabulous idea to use the Bistro Lights with the Carried Away image, Sankari...this looks gorgeous!!! 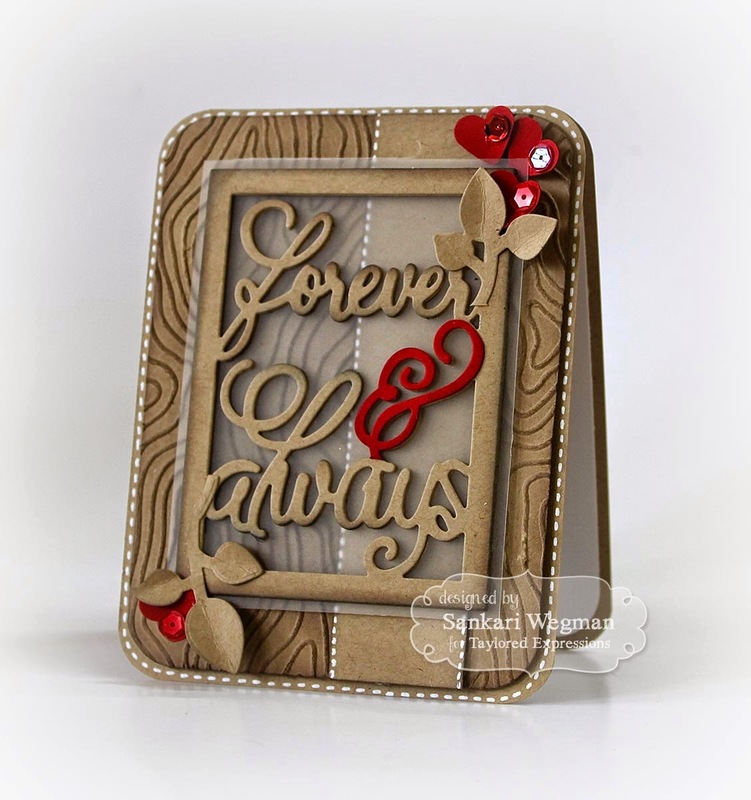 Love your second card, too, with the earthy colors and the pop of red...sooo pretty!!! Gorgeous cards! They are both so wonderful!!!!!! I can see why they are some of your favorites! The first card is lovely but the second is a real stunner! Awesome card Sankari. Love the Kraft base with the sponging.